Ages 5 yrs to 18. 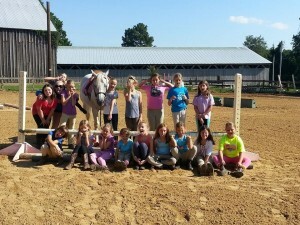 Small, structured groups learn equestrian skills in a fun, camp-like atmosphere. 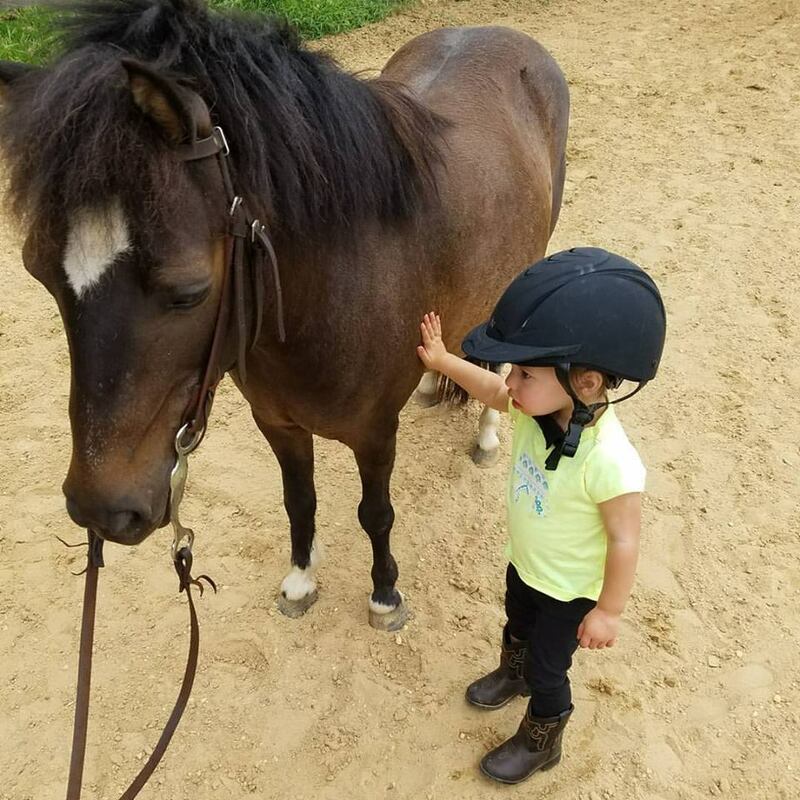 Kids learn about being equestrians from horse care to tack care, showmanship to teamwork and having fun. Groups are formed according to skill level. Beginner riders are welcome! We offer small private groups to teach the children equestrian skills in a fun family atmosphere. 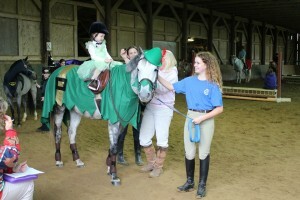 We teach the children every aspect of horsemanship from riding to the total care of the horse. 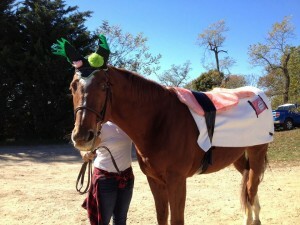 We also offer some non-equestrian activities for the children's total enjoyment. Our camps are certified by the State of Maryland. 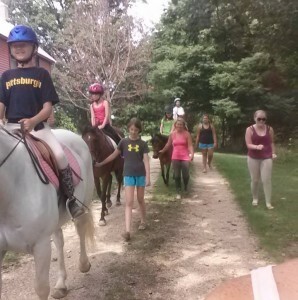 For children ages 5 – 7 we offer a 1/2 day camp. All of our camps are for beginners to intermediate level. 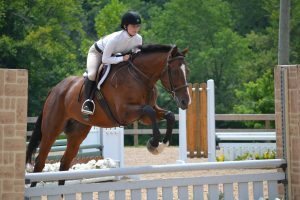 The Obligation Camp in June is for advanced intermediate riders or higher in ability. 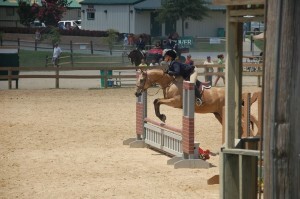 These students are jumping courses of 2' or higher and riding cross country. On Friday during summer camp we will hold demonstrations for the kids to show off their new skills. These will be held at 3pm. Parents, guardians, family and friends are encouraged to attend. Clinics are offered for adults age 18 and up. Clinics are designed to educate adults. 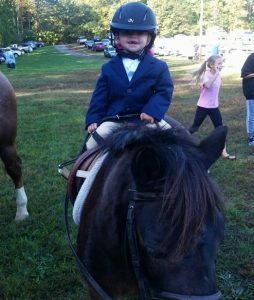 Equestrian skills of all levels and styles of riding – beginner or advanced rider; English or Western; or working on different skils. 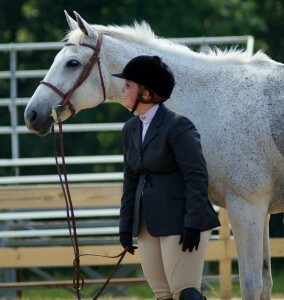 Clinics include riding instruction, seminars and various activities to keep you entertained while learning. Please see the Camp Information Page for dates and discount information!!! !